I just have to give a little plug for a gift I was recently given. My grandma got me some cupcake liners and toppers from a local shop called “Three Cups of Tea” and I cannot get over how adorable they are! They are made by Meri Meri and are just about the cutest thing I’ve ever seen. They also make all kinds of other stuff, all as cute as these babies. You can buy them online directly from Meri Meri, or probably find them at a local retailer in your area. 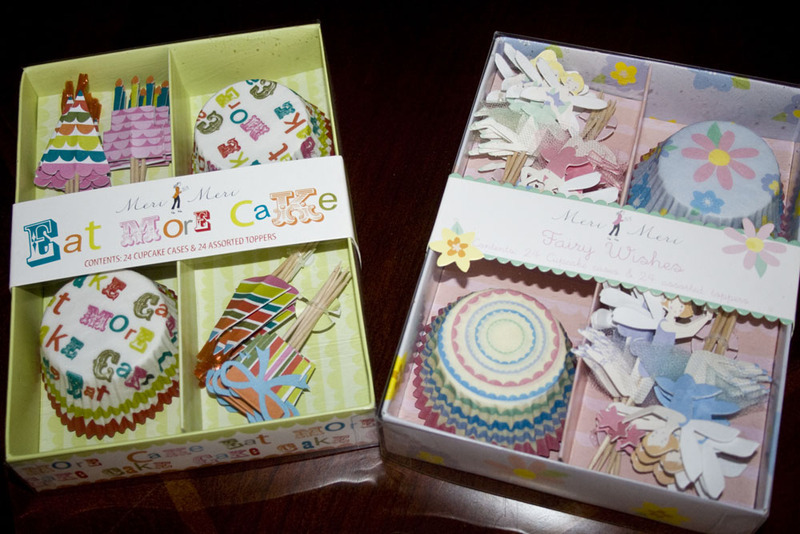 I love the slogan “eat more cake” – perfect. I’m going to a tea party soon for my daughter and some of her little friends so I can use the Fairy Wishes set. How precious are they? They are almost to pretty to use.